Protect your condensing furnace, power vent hot water heater or boiler vent using the PVS-IRS3. This kit, which reflects a substantial package discount, includes an insect screen, rodent screen and internal wire clips for easy installation. Regardless of what time of year it may be, the screens included in the PVS-IRS3 kit allow for maximum protection from insects and rodents. 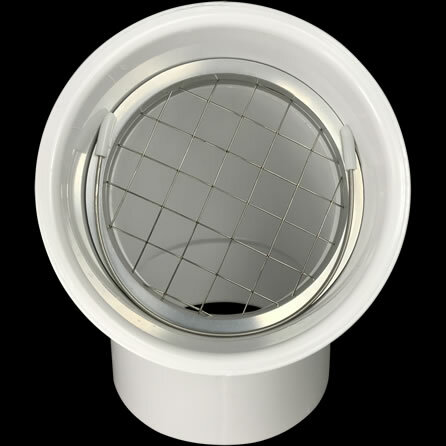 Fitment: The vent screens included in the PVS-IRS3 kit are designed to install inside any standard 3″ PVC vent termination hub or coupling having an inside diameter of 3-1/2″. Our three inch PVS-IRS3 PVC vent screen kit provides both value and all-season vent protection for one 3″ PVC pipe vent. Included in this package are one PVS-IS3 vent screen for dual insect and rodent protection and one PVS-RS3 vent screen for use during months when only rodent protection is needed. Also included are two 304 stainless steel internal wire clips, which are used to quickly install and secure our vent screens in place without damaging your 3″ PVC hub/elbow. The supplied stainless steel clips may be reused season after season and their use eliminates the need for caulk, screws or other types of fasteners to secure our vent screens in place. 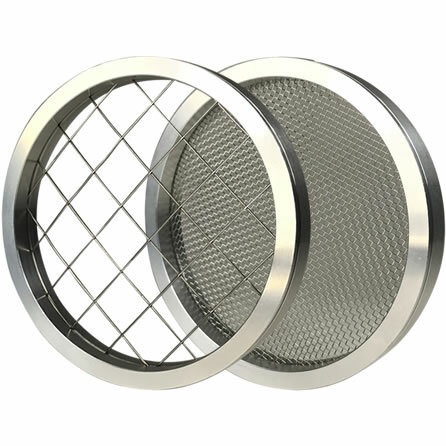 Our PVS series vent screens all utilize a high quality 6061-T6 aluminum shell for its anti-corrosive properties. 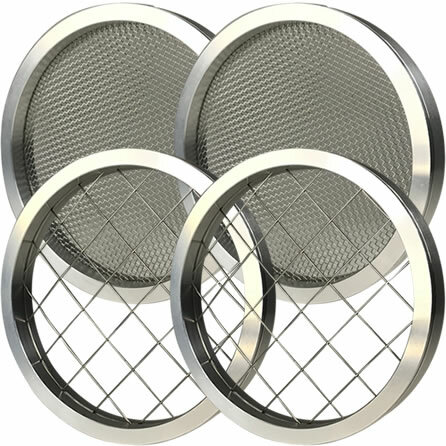 Our mesh and welded wire screens are made of 316 stainless steel, which is also highly resistant to corrosion, and are designed to years of trouble-free service. When secured in place with the included 304 stainless steel internal wire clips, our screens will protect you from costly repair bills resulting from insect and/or animal damage. 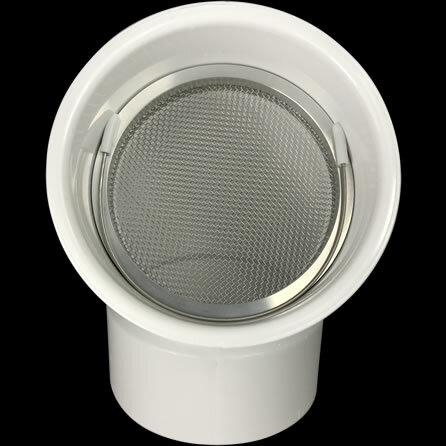 When you purchase the American made PVS-IRS3, you are getting the best flowing vent screens available for your high efficiency furnace, hot water heater or boiler. Those requiring help with measurements, before purchasing the PVS-IRS3, may visit our size help page to view detailed photographs and video that explains how to measure intake and exhaust PVC vent terminations.